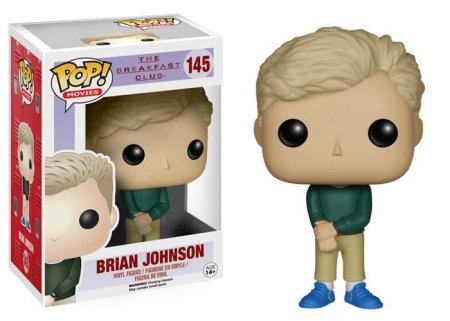 Hard to forget, Funko Pop The Breakfast Club proves the John Hughes characters are more than simply "a brain, an athlete, a basket case, a princess, and a criminal." The legendary 1985 movie The Breakfast Club focuses on five teenagers who are stuck with each other during Saturday detention. 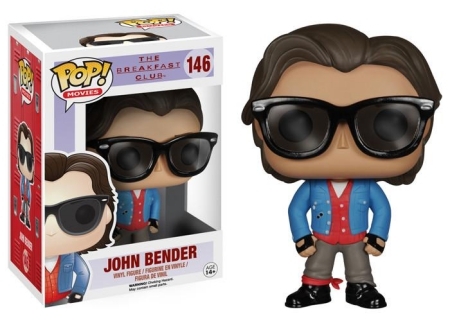 The movie transcends generations, which makes the Funko Pop The Breakfast Club set a must-have for fans and collectors of all ages. 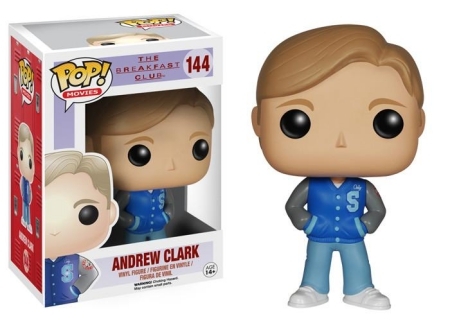 Order Funko The Breakfast Club Figures on Entertainment Earth. Wearing his football letterman jacket, Andrew Clark (an athlete) stands with his hands in his pockets and perfectly parted hair, while Brian Johnson (a brain) wears a green sweater and khakis with blue tennis shoes. The "criminal" John Bender rocks a pair of shades and a classic '80s blue jean jacket over a red shirt. Unfortunately, the iconic raised fist is not part of Bender's sculpt. 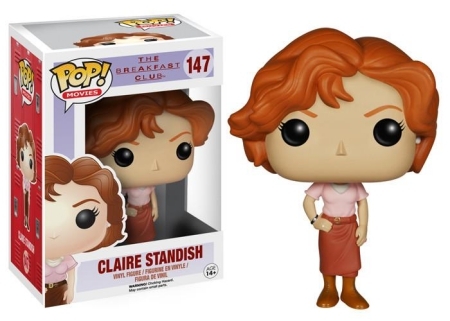 The Funko Pop The Breakfast Club figure for Claire Standish looks exactly like the character, but moreover, the actress who portrayed the "princess," Molly Ringwald. 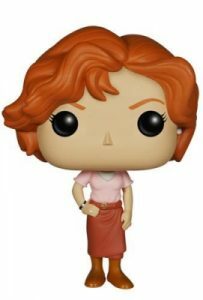 With a visible diamond earring, Claire stands in a pink shirt with a hand on her hip. 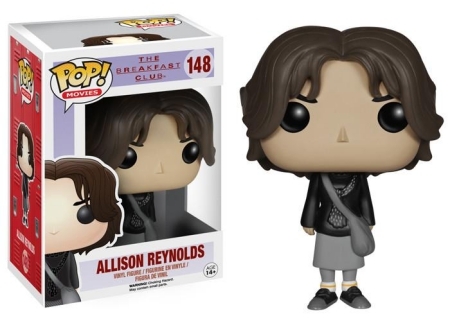 Meanwhile, the "basket case" Allison Reynolds wears only black and gray clothing with her messy hair slightly covering her face. 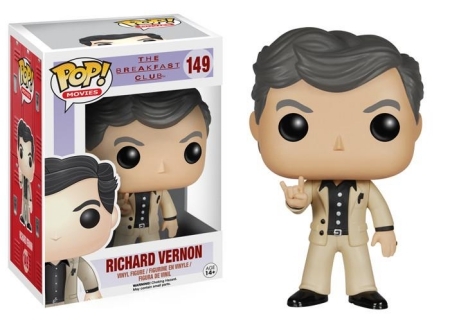 Lastly, Richard Vernon, the teen's Principal, appears in his leisure suit. Perhaps he really does raid Barry Manilow's wardrobe. Vernon is also in his notorious "you mess with the bull, you get the horns" pose. 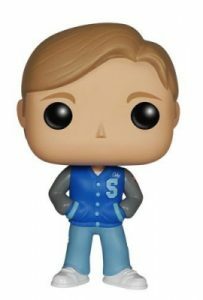 The Breakfast Club Funko Pop Vinyl Full Set Six Figures Some Damaged See Pics!